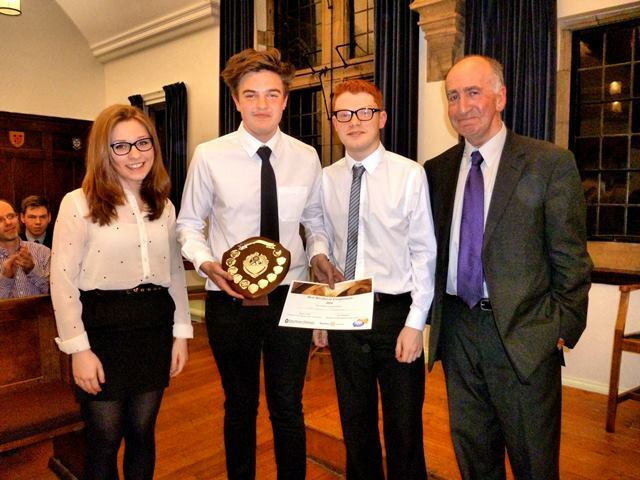 Students from Framwellgate School emerged victorious in the Durham Rotary club’s annual Youth Speak programme last month. Competing against Durham School, Durham Johnstone and St Leonard’s Catholic School in the debating competition, Framwellgate took the top prize, winning a closely-fought final against Durham School on the topic of restricting the pay of senior executives. Hosted in the debating chamber on Palace Green, the finals had earlier seen Durham School, represented by Dylan Mistry, Martha Bradley and Alexander Smith, win a debate on abolishing private schools against St Leonard’s, represented by Alice Phillips, Charlotte Welsh and Joseph Grehan-Bradley. Meanwhile Framwellgate (Joshua Morgan, Sarah Kingston and Christian Thompson-Hails) beat Durham Johnstone (Callum Hunter, Zeneshe Bamanji and Umair Khan) in a debate on introducing minimum-pricing for alcohol. Run with the help of the Durham Union Society (DUS), the Youth Speak programme sees university students volunteer in local schools to help young people develop skills of public speaking and debating. President Martin Leake and Phil Mars of the Rotary Club presented the winners’ shield and certificates to all of the participants after the final. Christian Thompson-Hails of Framwellgate was awarded ‘Best Speaker’. County Durham coroner Andrew Tweddle has called for better riverside safety after an inquest last week heard that the death of Sope Peters was accidental. Sope, who studied Economics at Hatfield College, fell into the River Wear shortly after midnight on Tuesday 29th October 2013. The body of the 20-year-old was discovered five weeks later by emergency services and a post-mortem examination revealed the cause of death to be drowning. Speaking at the inquest at Crook Civic Centre, Detective Sergeant Stephen Smythe said that Peters was last seen in CCTV footage outside Osborne’s bar and then heading down a set of steep stairs from Elvet Bridge. DS Smythe said: ’It is almost certain he stumbled down those steps and entered the Wear over the low wall at the bottom of them. DS Smythe said that Sope was over the legal driving limit for alcohol but no drugs were found in his system. Coroner Tweddle said that he would be writing to Durham County Council in a bid to improve the safety of the steps, which he described as ‘difficult and dangerous’. ‘It may be a small comfort to the family knowing that someone is hopefully going to have a look at the situation,’ he said. Dr Anthony Bash, Acting Principal at Hatfield, said ‘Members of Hatfield College were deeply saddened by the death of Sope Peters. 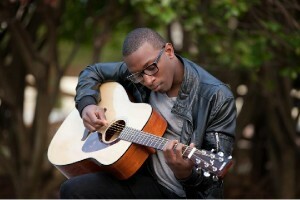 He was a popular student who is greatly missed. ‘We marked Sope’s passing with a memorial event to celebrate his life. Why do so few young people in Jersey vote? Few people in Jersey vote. In fact, we are the worst performing country in the OECD for voter turnout. Only 36% of the Island turned out in 2011, putting us behind the likes of Mexico and Estonia for civic engagement. But the problem is particularly acute amongst the younger demographic. In 2011, only 16% of Islanders between the ages of 16-34 cast a vote, and I bet the percentage was even lower for 16-25 year olds. Why so? I won’t revisit the standard reasons given for general voter apathy in Jersey. It is probably true that factors such as the complexity of our political system, the lack of party politics and an honest disinterest in all things political play a strong role in keeping voters, both young and old, away from the ballot box. My focus will instead be one of the key problems that I believe specifically deters young people from voting: the lack of quality political education. But before discussing this, a disclaimer. I recognise that lots of young people will choose not to vote regardless of what the States does, having better, more exciting things to do with their time. I still think, however, that there is a core of interested young people in Jersey who would be more politically active given a more supportive civic environment. And let’s be clear. This is an issue that deserves our attention. The democratic habits learned at a young age carry through into early adult life. Even if you don’t think politics should be the concern of a Jersey teenager now, that teenager will soon be entering the world of work, paying taxes, looking to find accommodation and using Social Services. 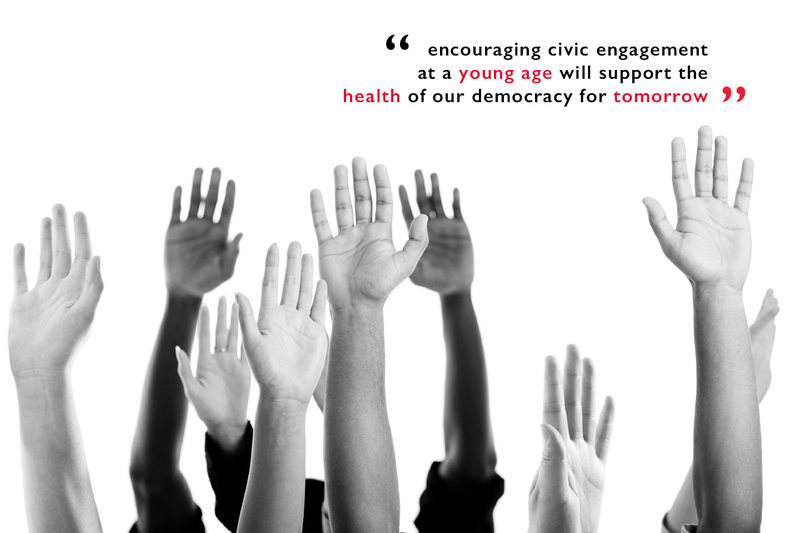 Encouraging civic engagement at a young age will support the health of our democracy for tomorrow. The key problem I see is that young people are unlikely to engage with something that they do not understand. Currently, the workings of local politics are taught as a minute fraction of the curriculum in PSHE lessons, which in turn occur only once a week. When students reach sixth-form, the age at which politics is becoming increasingly relevant to their lives, there is no formal provision whatsoever for learning about local politics within the hours of education. As a result, the average student in Jersey probably knows more about the US political system from watching House of Cards than they do about the workings of the States. This has to change. The Education and Home Affairs Scrutiny Panel conducted a report into Political Education back in 2010, but nothing significant seems to have come of it. Sporadic school councils and occasional States initiatives such as the annual Youth Assembly aren’t enough for preparing young people to be active, well-informed citizens in Jersey. Here are some recommendations for change. In the classroom, the PSHE curriculum needs to be reformed to give more quality time to local politics. The States should be aiming for students to have a good grasp of how our political system works by the age of 16. Senators, Deputies, Constables, Scrutiny, the Council of Ministers: young people should know how it all fits together and what they can do to lobby and influence those in power. In sixth-form, students need more than their current zero hours on local government. And if that’s too much to ask, the States should at least establish a permanent Youth Assembly (as voted for by Jersey students in 2011), rather than the current annual affair. The Youth Assembly gets students directly involved in politics and its permanent establishment is a short-term solution that would instantly increase civic engagement. Improving political education is just one of the important ways of increasing turnout amongst the younger demographic. But this article is merely the beginning of a discussion that the people of Jersey need to have. Tackling voter apathy needs to start from the bottom-up and, as the statistics show, this is an issue on which the States is currently failing.